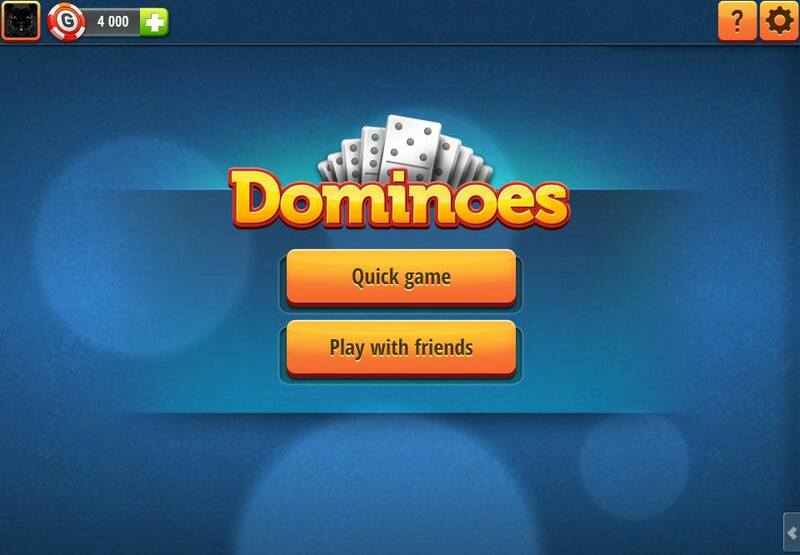 Dominoes – Popular, online free games! Invite friends and play! Dominoes is a game which uses tiles with dots, which are divided into halves, depending on the roll of two dice. Dominoes originated in China around the year 1120. In the 18th century, Dominoes was quite popular in the Venetian courts, and today it is hard to find someone who has never heard of this game. The game is played with 2 players, and it consists of 28 tiles. The main goal of the game is to get 100 points before your opponent. Get rid of all your tiles and get 100 points as soon as possible. How quick is your internal calculator? Count the dots on the dominos and find a number divisible by 5. Play with a friend or make a new one! Players are waiting from all over the world. Test your logical thinking skills and think on your feet to make quick decisions. Every child knows domino tiles. Over the centuries, millions of people around the world have been playing dominoes. What attracts players to these white or black rectangles, and why is aligning them still so popular? 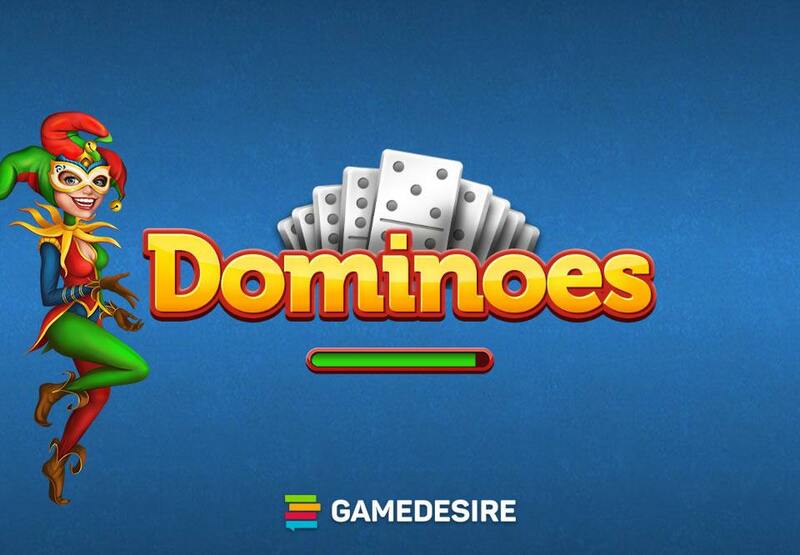 Put another way, is it worth laying your tiles on the table when you find dominoes online on GameDesire? See for yourself! 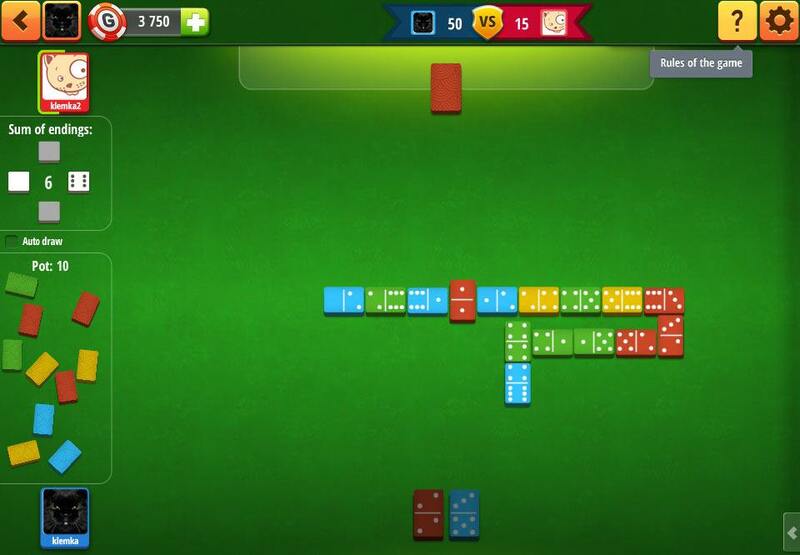 Dominoes online: what is the inspiration? Classic dominoes consists of rectangular tiles, “stones”, with pips inscribed on them. Each tile is divided into two parts. The number of pips corresponds with those on the gaming dice that we know. Most often, a set consists of 28 tiles. Combinations, known to us from dice games, are embodied in dominoes. So, if you find a tile with the same number of pips, you double up. Dominoes is supposed to have been an alternative to Yatzy with one tile corresponding to two dice. In any case, the rectangles for the game were originally called "kwai pat", or bony tiles. Today, few can be in the slightest doubt that the game of dominoes has far exceeded the popularity of its older brother. Neither dominoes online nor in its conventional form are games for individualists. To start the game you need at least two players. Nevertheless, the rules of the game are simple, as is the gameplay itself, which is why the game of dominoes is a great way of spending your free time together or finding new friends online. Where does dominoes come from? As you already know, the game of dominoes was an alternative to rolling dice. The idea originated in Asia. The Chinese created the first, richly inlaid sets for the game during the Song Dynasty (960-1279). The Greeks and Hebrews also had this fascinating new game, and a domino set was even found in the tomb of Tutankhamen! Thanks to Marco Polo, dominoes found its way to Europe. Unfortunately, it was only in the 18th century that the inhabitants of the Old Continent discovered the potential of this game. It was then that the sets of spotted rectangles began to gain popularity in the Venetian courts. The players gather, and turn the tiles face down. The starting player is selected. It is best to do this by drawing tiles. Of course, the holder of the tile with the combined highest number of pips starts the game. Each player draws their tiles (a maximum of seven). Tiles not drawn constitute the pot. Players can draw from this when they cannot play with the tiles in their hand. The goal is to score 100 points in the shortest possible time. The most important rule is that tiles on the board should be connected by the same number of pips. If you do not have such a tile, you can draw from the pot. If luck deserts you, choose this moment to jettison a number of tiles. Otherwise, you will forfeit your turn. The winner of the game of dominoes is the person who scores 100 points first, uses all their tiles, or closes the circle of tiles – known as a “dragon”. If you do not remember all the rules relating to the order and manner of placing the tiles on the table, play a few games of dominoes online. Thanks to the useful hints available in the application you will quickly reach expert level. In dominoes you score points both during the game play and after the end of it. During the game, you score points whenever the sum of the pips on the outer parts (each tile consists of two parts) is divisible by 5. End game scoring rules depends on the way the game finished, either through acquiring the victory through emptying the player's hand, or when the game blocked (none of the players can move anymore). In the first case, the winner scores points corresponding to the number of pips on the opponent's remaining tiles. The sum is rounded downe to multiples of 5. In the second case the one with the higher score at the moment blocking the game wins. If there is a draw and each player has the same number of points, the one with less unused tiles wins. If the score still ties, the winner is the one who made the last move. Remember to add points equal to the number of pips on tiles unused by the opponent to the account of the winner, and substract those unused by himself. Dominoes devotees come together not only to play the game. A popular event for dominoholics is the spectacular Domino Day, or Day of the Domino. Each November, an international team lays out colorful tiles, with the goal of positioning and knocking down as many as possible, making for a fantastic spectacle. Among the volunteers who create this colorful story, participants are selected for special tasks. It is worth noting that the first tiles have been tipped by world-class stars such as Kylie Minogue, Katie Melua and Nick Carter of the Backstreet Boys. The annual event is organized Robin Paul Weijers, known popularly as “Mr Domino”. Unfortunately, Domino Day has not been organized since 2009. However, you can still experience all these emotions. The international team, assembled via the GameDesire website, allows users to play together and exchange experiences. 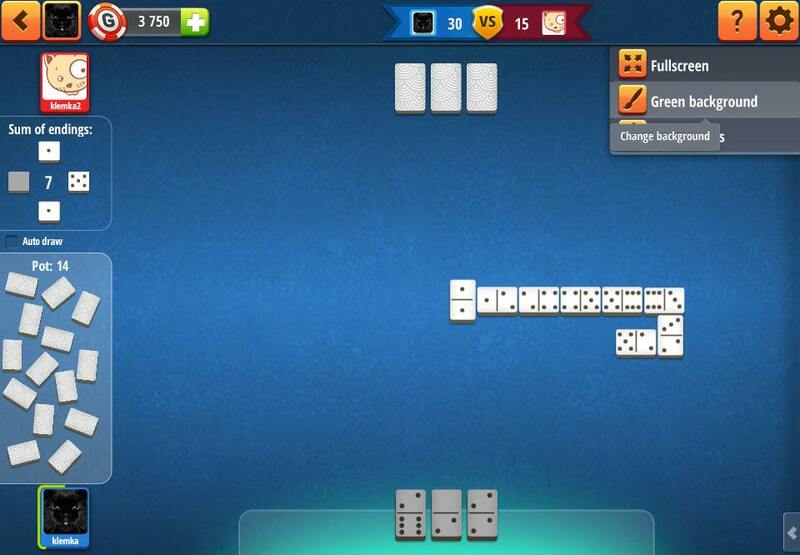 Online dominoes is a great way to relax with a fun and uncomplicated game, and to get to know great people. Create an account and play dominoes online, host your blog on our website and meet people with similar passions!